The Fungo chandelier was inspired by the fascinating shape of a mushroom growing on wood. Yet this mushroom didn?t grow in the forest, but was discovered in the basement of Lasvit?s glassworks, where an ancient wooden glassblowing mold had succumbed to the ravages of humidity. 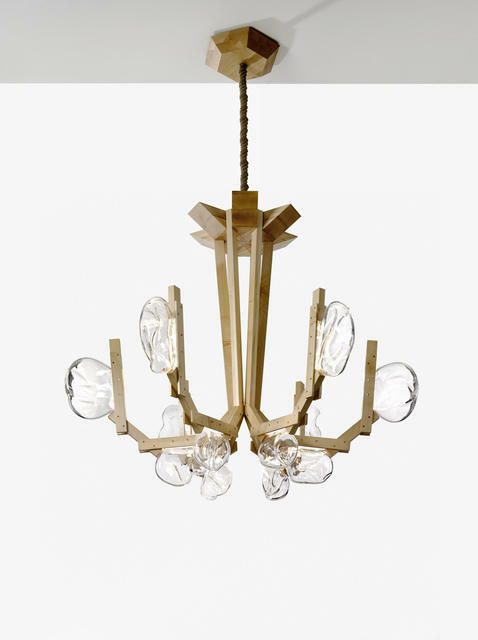 The Campana Brothers chose to blend this newfound accidental theme with Lasvit?s glassmaking tradition and fuse their techniques with natural materials.